Location, location, location! Gracious living on a premium lot in the sought after community of dolington estates built by toll brothers. This fabulously expanded mercer federal model sits on 1. 08 acres. This home offers 4 bedrooms & 4 1/2 baths. This beautiful new listing features a spectacular grand two-story foyer with elegant tile flooring, curved staircase, custom trim & moldings throughout. The family room has a magnificent cathedral ceiling and a stone gas fireplace open to the gourmet kitchen & breakfast room. The kitchen has lovely white 42" cabinetry, granite counter tops, double wall oven, stainless refrigerator, pantry & built in desk. Just off of the family room you will find the generous sized private main floor office/library quietly tucked away. First floor 9' ceilings. The 2nd floor offers a lavish master bedroom suite with an oversized his & her closet and a luxurious private bath with vaulted ceiling. Bedrooms 2, 3, & 4 share two more neutrally designed baths. The master sitting area is presently being used as a 5th bedroom. Changed back. Additional features include: 3 car garage with laundry/mud room access, main floor powder room, exterior lighting, over-sized rear paver patio great for entertaining, irrigation system & security system. Finished basement featuring a wet bar, full bath, game room and media area. This is an extremely accessible location, driving time to center city philadelphia is just 30 minutes. Princeton is 20 & trenton is only 10 minutes away. By train you can reach manhattan in an hour. 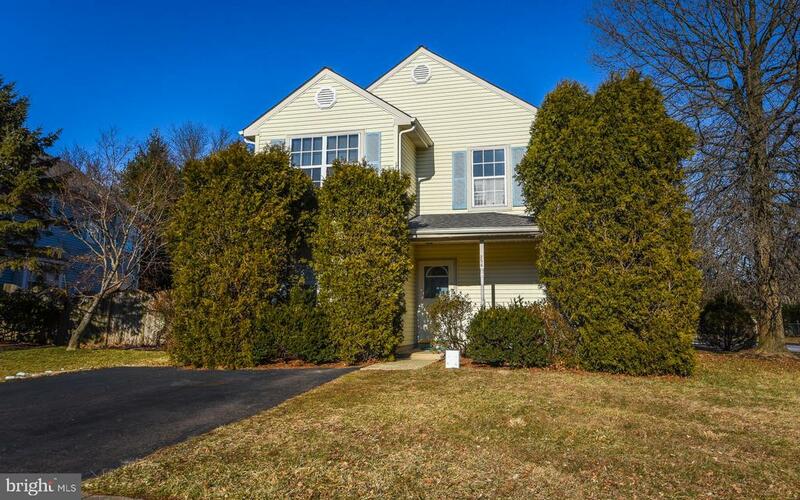 Dolington estates is located in the very respected & well-regarded pennsbury school district. The community is very convenient for everyday services like banking, grocery shopping and regional malls. One year home warranty to the new owner!